Explore the world through a customized culinary adventure! It's only one click away with Flavors of the World Box! It’s easy! Flavor Noire offers 4 simple steps to bringing Flavors of the World Box to you! Travel to a different country every month and discover authentic recipes with all non-perishables ingredients provided. Unlock your passport to flavors! Set the mood with specially curated playlist while following step by step recipe videos. What's in the Flavors of the World Box? Non-perishable ingredients for 2 special recipes serving 2-4 people. Sweet or savory snacks to start your exploration of a new world. A written and video recipe to guide you step-by-step. Kitchen and/or dining tools to enhance your cooking experience. A detailed shopping list of fresh ingredients for convenience. See what our fans have to say about Flavor Noire! 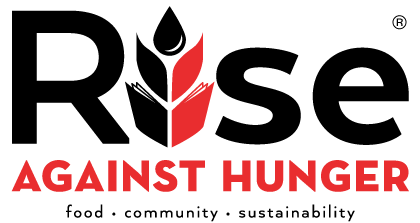 With every box sold, Flavor Noire will contribute a portion of the proceeds to Rise Against Hunger. So not only can you travel the world through food, but you can feel great while doing it. With the goal to donate 1 million meals by 2023 to help those in need. The Flavor Noire team wants you to have the best subscription box experience ever. If you have a question, comment, or want to let us know what you think of your box?